Our wall mounted Flushed System represents a door with no casings and no visible frame from both sides. Blending in the door with the entire wall or making it a protagonist due to a contrast of colors or finishes is only possible due to our concealed Italian aluminum frame and our different finishes available that varies from primed surfaces to all kinds of lacquered and real wood veneers. 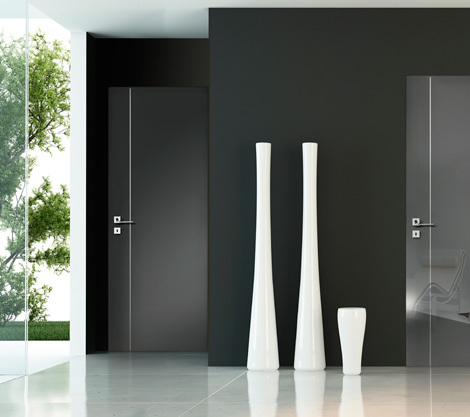 Without any doubt, flushed doors will make your home stand out as an elegant and refined space.